RFID Based Access Control System can provide an easy and efficient solution for enabling access to only authorized employees. 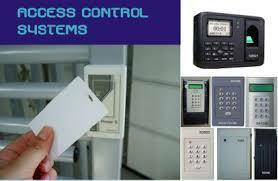 C-DAC, Mohali has developed stand alone access control system which stores database of authorized employees. RFID embedded cards are being used for identification of authorized person to allow or deny access to restricted area. The concern is for the physical property and also for the intellectual property. For this reason only the authorized person with a valid RFID tag is allowed into the secured premises. This tag contains an integrated circuit that is used for storing and processing information, modulating and demodulating the radio frequency signal that is being transmitted. Thus, once the person shows the RFID tag to the card reader it scans the data present in the tag and compares it with the data present in the microcontroller. When the data matches with that in the microcontroller, the load will be turned ON which is operated by a relay being driven from the output of the microcontroller. If a valid tag is swiped then the system displays a message “AUTHORIZED” else it states “UNAUTHORIZED” and doesn’t allow access. A lamp is used as an indication besides the LCD display. This project can be further enhanced by interfacing it with GSM technology. Any attempt for unauthorized access can be intimated to the security personnel through an SMS. It can also be interfaced with a finger print module to reduce the drawback of RFID system i.e. exchanging RFID tags.